Science of Engagement - How to Add Serious Pizazz to Your Presentations! 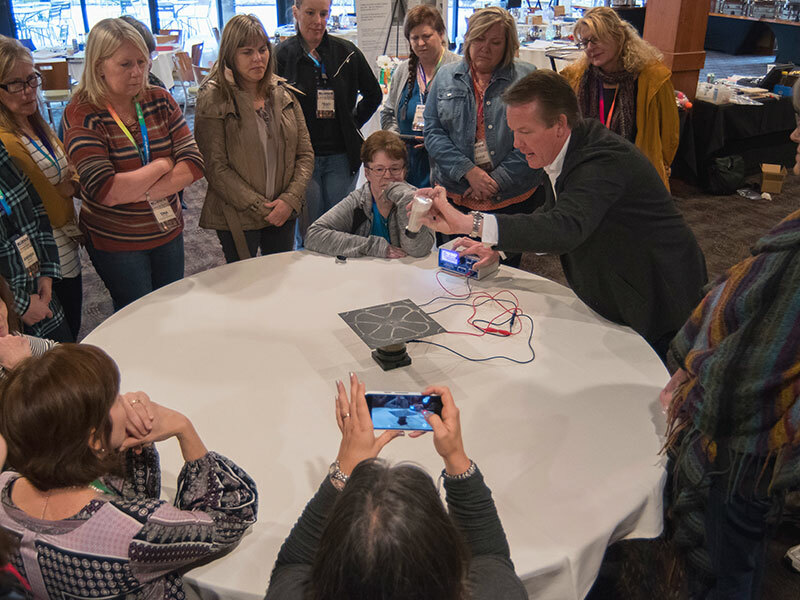 For the first time ever, Steve Spangler is teaching other presenters, trainers, educators and speakers how to incorporate elements of science and magic into their presentations to increase audience engagement and have them cheering for more! 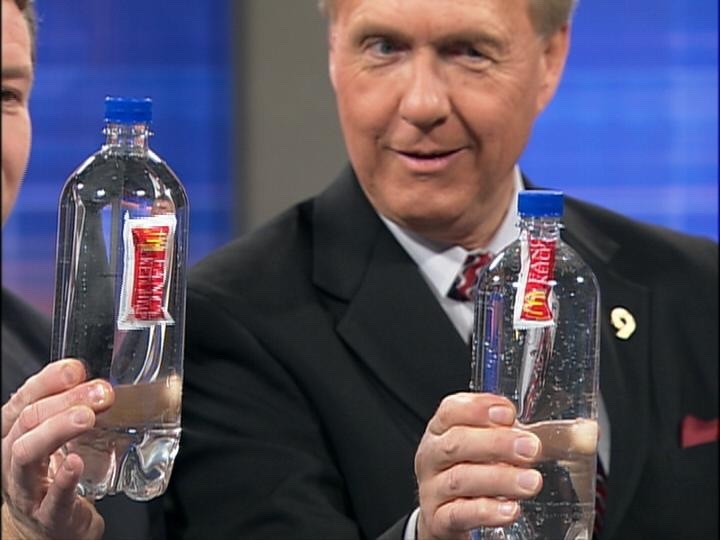 Steve Spangler is a master at the art of visual story-telling. 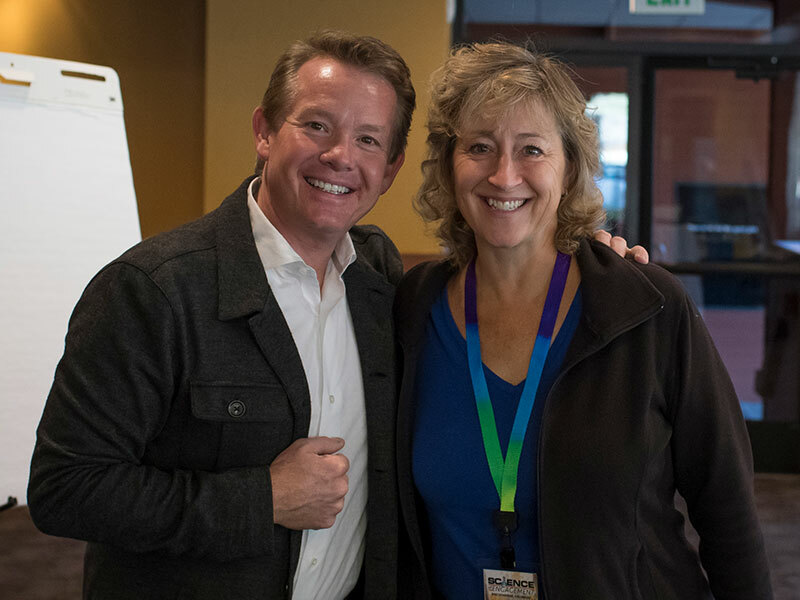 As a highly acclaimed educator, successful business owner and Hall of Fame speaker, Steve Spangler combined his expertise as a science communicator with his successful insights as a business leader to create a workshop experience that teaches you how to harnesses the power of visual engagement. In other words, you’re going to learn how to add some serious pizazz to your presentations. 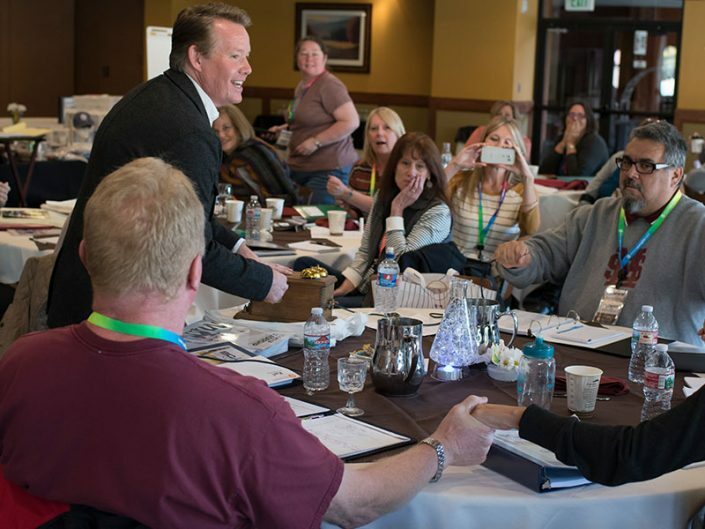 If you’re looking for a way to kick-start your presentations and have your audiences cheering for more, join Emmy award-winning television host and Hall of Fame speaker Steve Spangler for an amazing two-day workshop in Breckenridge, Colorado. 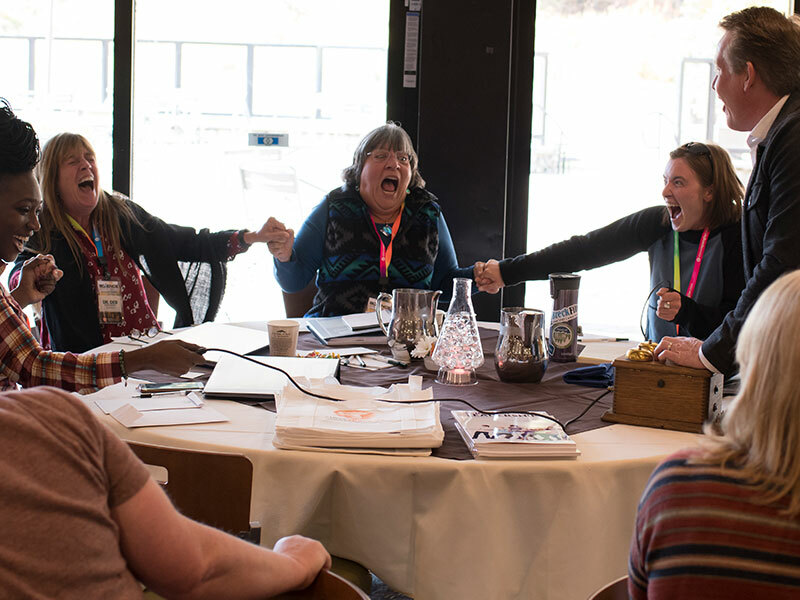 Perfect for student activity advisors, corporate trainers, counselors, youth leaders, club sponsors, camp directors, youth pastors, leadership trainers, professional speakers… or anyone who wants to turn ordinary presentations into unforgettable learning experiences guaranteed to get oooh & ahhhs. Be the first to know when the 2019 registration opens! Okay… this is the 4th reason, but we couldn’t resist. You’re going to experience one of the most beautiful places on earth – Breckenridge, Colorado! 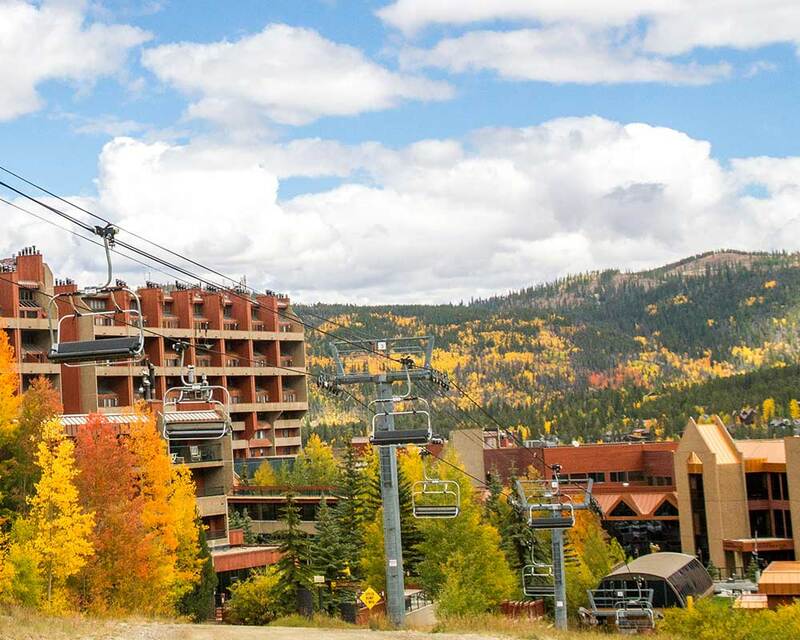 Experience the changing colors of the leaves and the brisk mountain air that is uniquely Colorado. BONUS! 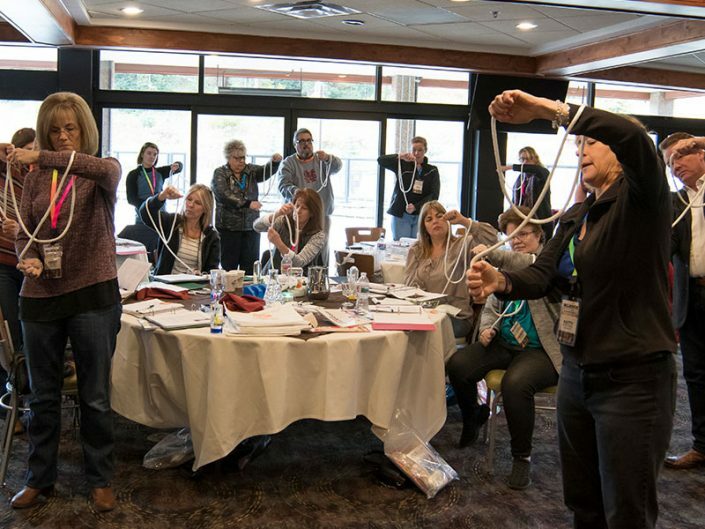 Take home $250 worth of visual aids, amazing props and hands-on learning materials to incorporate into your next presentation. 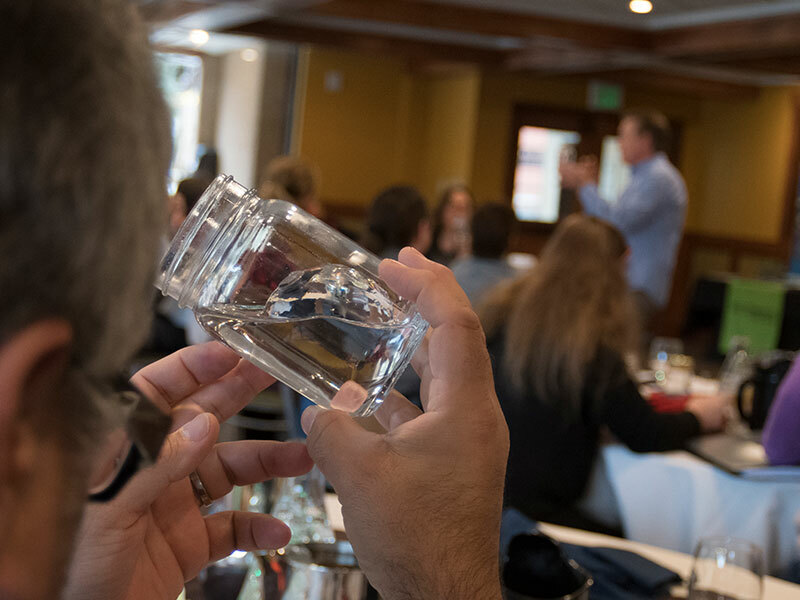 This is not a sit-and-watch lecture… it’s a hands-on experience from the moment you step through the door. 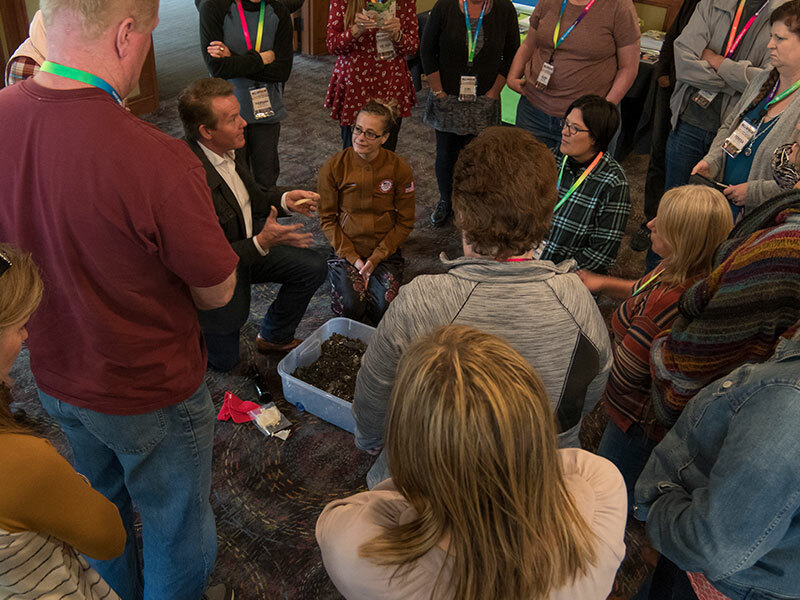 You’ll conduct more than 30 activities with Steve Spangler and his team of instructors as you learn the science behind each learning metaphor. 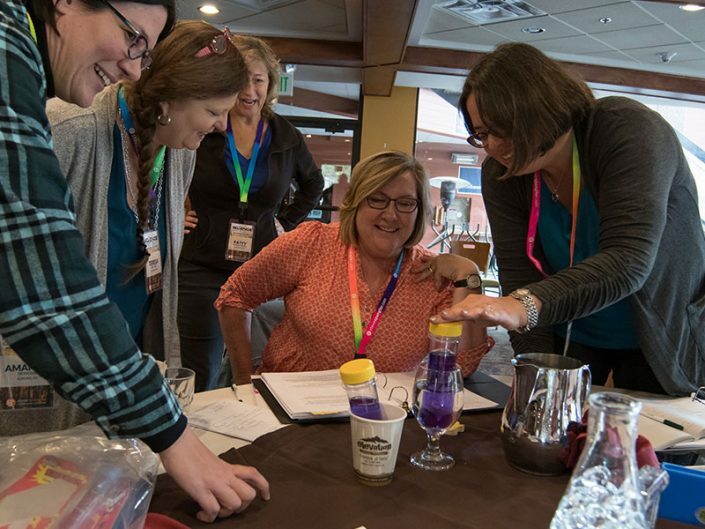 Most importantly, you’ll learn how to use Steve Spangler’s unique strategies for turning the most engaging science demonstrations into real-world experiences that teach solid, life-lesson concepts. 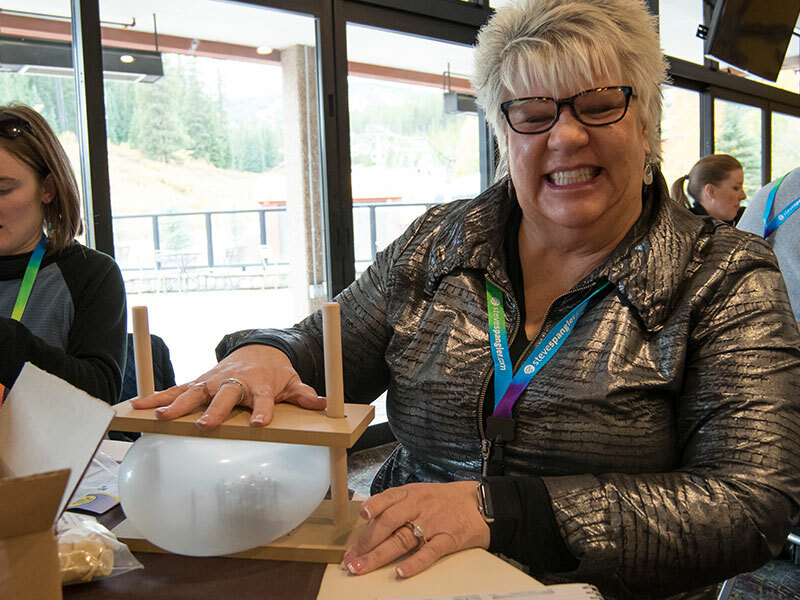 It’s impossible to attend any Steve Spangler experience without taking home some amazing workshop materials. We’re not talking about a boring handout in a fancy binder valued at $250. We’re talking about taking home an amazing assortment of materials you can’t purchase at any store. You’ll receive visual aids, props, demonstrations and hands-on learning materials so that you can put these actionable ideas into practice the very next day. This hands-on workshop is for student activity advisors, corporate trainers, leadership teachers, counselors, youth leaders, club sponsors, camp directors, youth pastors, school administrators, professional development trainers, leadership advisors, summer camp advisors, professional speakers, workshop trainers, keynote speakers… or anyone who wants to use eye-catching visuals and hands-on activities to increase audience engagement and create unforgettable learning experiences. If you speak professionally as a keynote speaker or a workshop trainer, this workshop will change the way you communicate your messages forever. When members of the National Speakers Association inducted Steve Spangler into the Speaker Hall of Fame in 2010, the selection committee noted his ability to create “visually empowering messages” that audiences remember for a lifetime. This workshop is a culmination of Steve’s experience delivering over 5,000 presentations combined with his work as a coach and advisor to colleagues in the speaking profession. The actionable items and presentation ideas you’ll take home from this experience will help to take your speaking to a new level. Steve Spangler believes that the greatest teaching ideas and the coolest visual illustrations are worthless unless you have a plan for integration and strategies for putting the ideas into practice immediately. That’s why we believe in a hands-on approach throughout the entire workshop experience. You’ll conduct the lessons and open-ended activities with Steve Spangler and his staff as you learn how build connections between scientific concepts and leadership applications that address your presentation needs. You’ll engage with other workshop participants as you brainstorm the most effective ways to illustrate concepts like goal setting, team building, creativity, diversity, evaluation, trust, motivation, risk and effective communication. 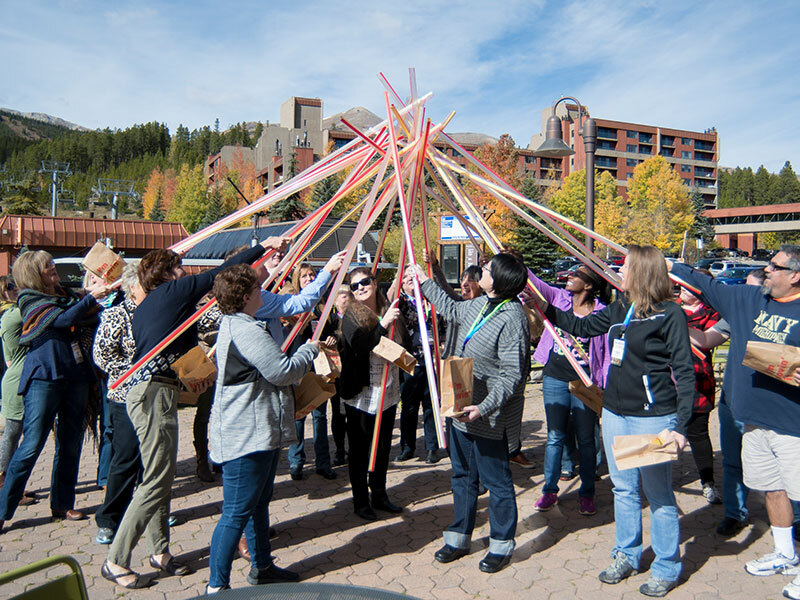 Your Science of Engagement experience starts with a beautiful trip from the Denver International Airport to Breckenridge, Colorado. Don’t worry… there will be ample opportunity for you to experience the eclectic shops and eateries that make up this amazing destination. It’s no surprise that Breckenridge has been referred to as the perfect mountain town. Sitting at just over 9,600 feet this town is full of history and character, Breckenridge shares an incredibly laid-back charm that makes you feel like a local. Downtown you will find wonderful restaurants and eclectic boutiques. We will be sure to point you in the direction of the Crepes A La Cart on Main Street. One of our favorites! The historic town of Breckenridge, Colorado was founded in 1859 during the Pikes Peak Gold Rush. During the years of mining the area is credited with producing over one million troy ounces of gold. All mines in Breckenridge are shut down but the history of the gold rush lives on within the town. Today Breckenridge is more know for its world-class skiing and riding. With over 187 trails and a summit of 12,998 feet making it one of Colorado’s favorite winter playgrounds. Ski lifts typically open in November and stay open until April. Our official hotel for the Science of Leadership will be the Beaver Run Resort located in Breckenridge, Colorado. Located just a short walk or shuttle ride to main street shopping and restaurants. Wireless internet access is complimentary in all guest rooms and resort common areas. We do not suggest walking to Breckenridge or using a boat or a train as your primary means of travel. It takes a long time. If you live outside of Colorado, you might want to take an airplane to Denver International Airport (DIA). It’s really fun and you get a bag of pretzels. How do you get to Breckenridge from Denver? We have chartered buses to take you from DIA to Breckenridge so that you can take in the beauty of Colorado. This is included in the price of your registration. This part is very important…Our buses will leave at 12 PM and 3 PM. That’s it. If you have other plans, you’ll need to arrange (and pay) for your own transportation to the Beaver Run Resort in Breckenridge, Colorado. 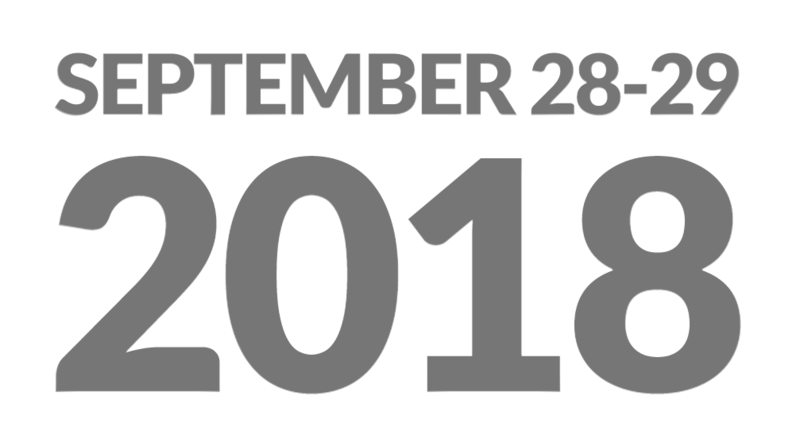 We already know that some of you are coming in a few days early or staying a few days after the workshop to enjoy Colorado… and you’ve arranged your own travel to the conference hotel. If you have any questions about arranging your own travel, please call us at 855.228.8780. Ground transportation from Denver International Airport (DIA) to the Beaver Run Resort in Breckenridge, Colorado. Our buses will pick-up from DIA at two predetermined times on Thursday, September 27th. Ground transportation from Beaver Run Resort to DIA on Sunday, September 30th. There will be one scheduled departure from Beaver Run to DIA early Sunday morning. Continental breakfast will be served on Friday and Saturday morning. Registering by credit card is a fast and easy way for you to reserve and confirm your seat at the conference. Your card will be charged when you register, and a receipt will be sent to you via email. An invoice will be sent out when paying by check or purchase order with payment due 30 days from your registration date. If you are paying by purchase order, please fax (303-795-9936) or mail a copy of purchase order to the address listed below. To attend the workshop we must receive payment in full before June 1, 2017. For any questions, please contact Carly at 855-228-8780. A payment plan is available by credit card only. You must make at least a $100 payment at the time of registration. The monthly amount can selected when you setup your payment by phone. We will charge your credit card each month between the 1st and 4th. All registration fees are due by June 1, 2017. To receive a full refund, cancellations must be made by September 15, 2017. 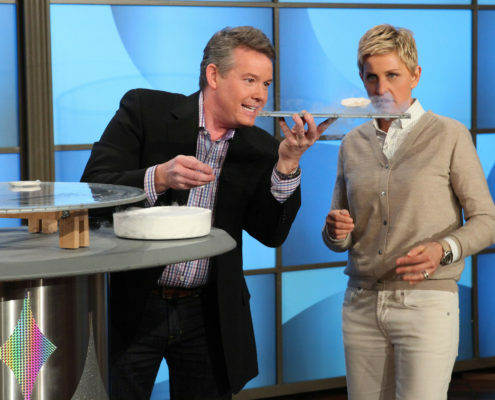 Steve Spangler is well-known for his humorous and engaging science demonstrations from his work on stage, television and as a YouTube celebrity. As an inductee to the Speaker Hall of Fame, Spangler is a master communicator who shares his principles of success in education and business with audiences from around the globe. Steve Spangler created the original Science of Leadership™ concept with his good friend and leadership expert, Dr. Earl Reum in 1995. 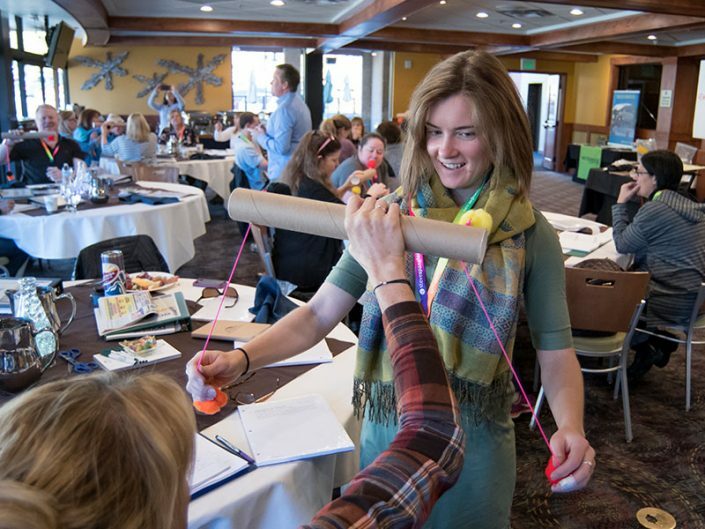 Student activity advisors and leadership trainers throughout the country were quick to integrate these engaging lessons into their national leadership camps and summer workshop curriculum. 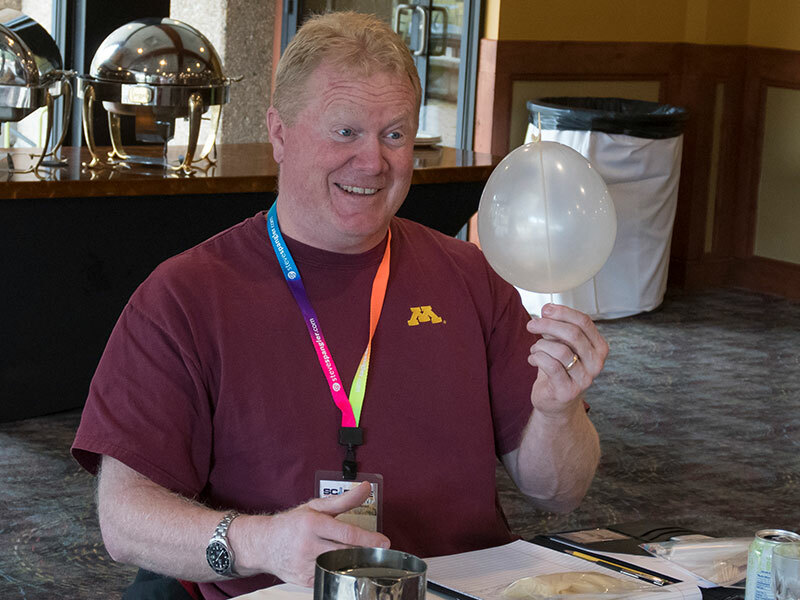 Steve traveled extensively throughout the U.S. presenting this full-day workshop experience to student activity advisors, club sponsors, counselors and other professionals who wanted a new way to make leadership concepts engaging and unforgettable. In 2014, Steve teamed up with leadership trainer extraordinaire, Patty Hupfer Riedel, to create an experience that will help you build amazing, highly visual metaphors to reinforce any messaging point. 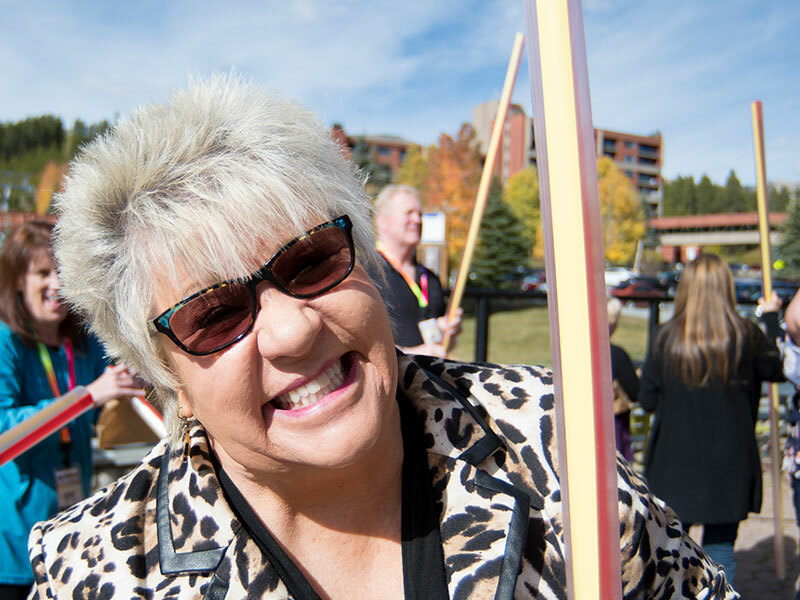 Patty Hupfer Riedel has over 20 years of leadership training experience with the National Association of Student Councils and as a highly-acclaimed consultant for summer leadership workshops throughout the country. 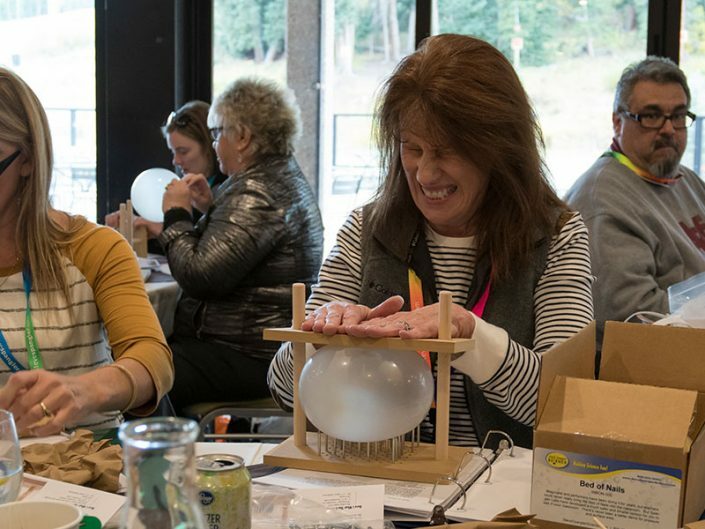 Together, Steve and Patty turn their combined knowledge of science and leadership into an experience filled mind-blowing science magic, engaging demonstrations, visual aids, attention-grabbing props, memorable metaphors and the perfect touch of humor to create unforgettable learning experiences. 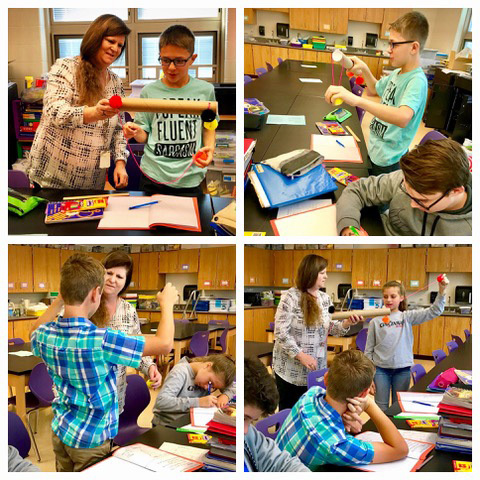 Patty Hupfer Riedel understands science and leadership acting as both a highly decorated chemistry teacher and a nationally recognized student activities advisor. As the Director of Student Activities at Pius XI Catholic High School, she gets in her fair share of trouble combining her love of blowing things up with finding creative ways for kids to show up to school dances. 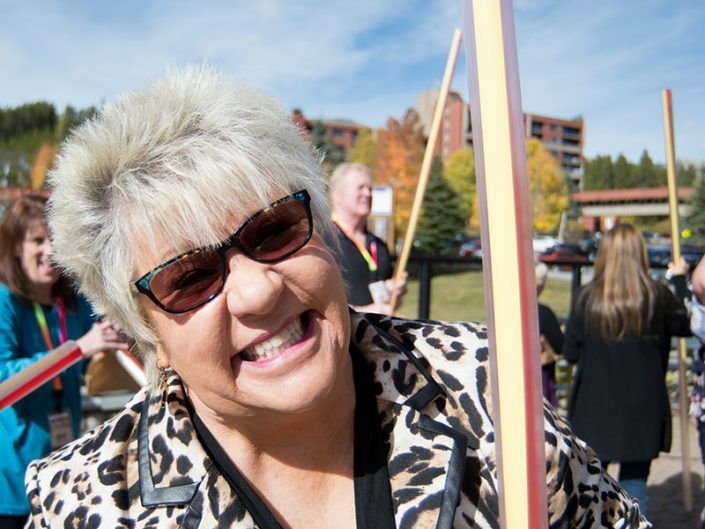 Patty has served as a staff member for over 20 years at the NASC’s National Leadership Camps in Colorado, South Dakota and Nevada, and also as the Curriculum Coordinator for the Wisconsin Association of School Councils summer Junior High Leadership Camps. In 2002 Patty was awarded the Warren E. Shull National Advisor of the Year by the National Association of School Councils. Students in my STEM class are trying to figure out how the Think Tube is organized inside the tube today. Later this week I hope to have them make one for themselves! So happy that I am able to bring back what I learned at Science of Engagement and start using it in my classroom. 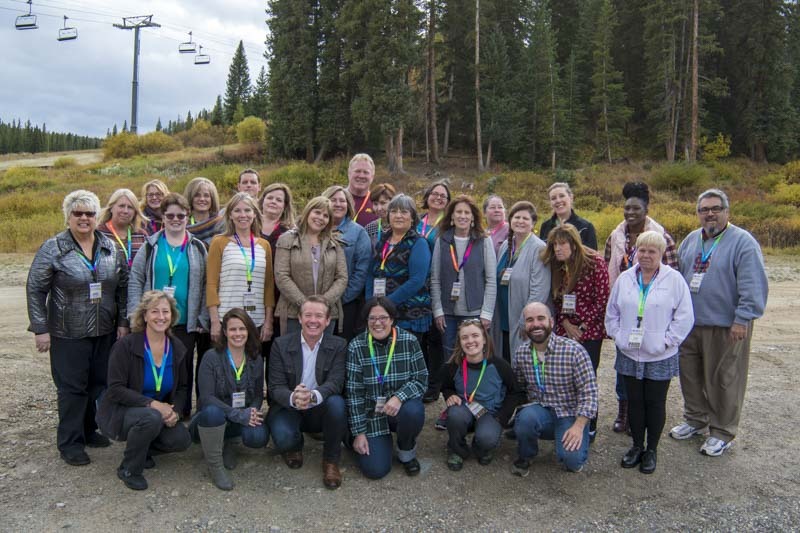 What a great conference, and it doesn’t hurt that it’s in beautiful Breckenridge, Colorado. Whether you are a teacher in a classroom or an executive in the boardroom these types of engaging activities bring clarity to elements of leadership. This training is a must for anyone whose job it is make and attain goals using the tools of human ability and spirit. The leadership workshop was so valuable for me as a high school science teacher. I plan on using these demonstrations as life lessons that my students will remember for years to come. In addition, many of these lessons can be incorporated into our professional development sessions throughout the year with my colleagues. Easy to implement, hands on science experiences designed to not only enhance student content knowledge, but most importantly for the purposes of this class to demonstrate essential qualities students need to be effective leaders in their school and cocurricular settings! 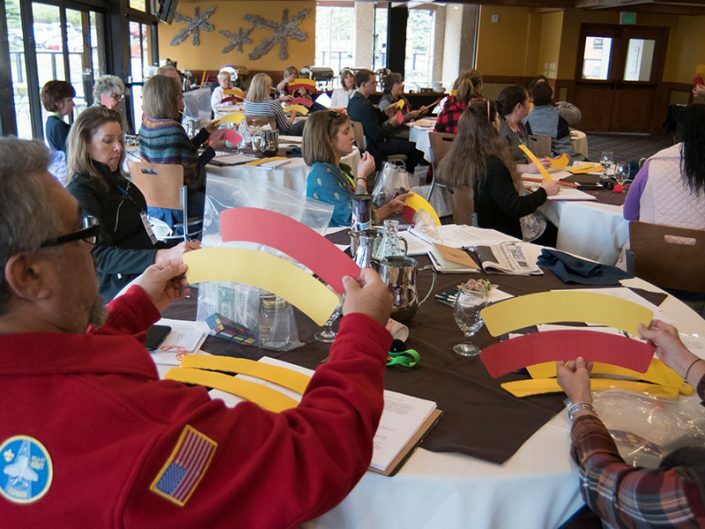 Any guidance counselor, but especially those of upper elementary, middle and high school, should consider this workshop as essential for their “bag of attention grabbers.” What a fantastic way to initiate discussions in areas of leadership and team building. Many times when students are taught something, their first question is, “When am I ever going to use this?” This course helped me learn how to have students relate what they are learning in science with real world examples for leadership that will hopefully keep students engaged and also help develop some of those soft skills that many of our students are lacking. This course is fantastic for any class that you are teaching. We are always looking to improve leadership in our classrooms, schools, or other activities. This course can bring out the best in your students, and gives you the opportunity to shine at dinner parties. You won’t be invited back, but for that one dinner party, you’ll be the light! !